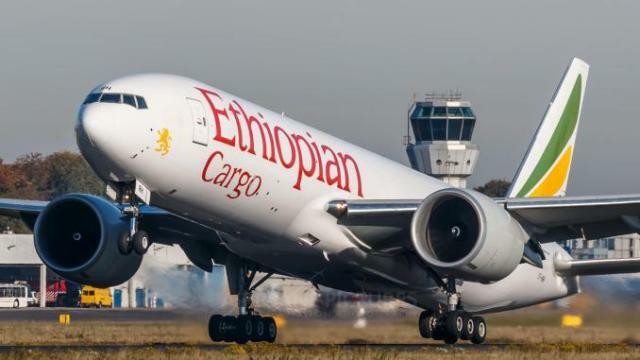 Ethiopian Airlines, the largest Aviation Group in Africa and SKYTRAX Certified Four Star Global Airline, has been awarded gold prize as the top performing cargo transportation airline at the Customers Annual Meeting organized by Guangzhou Bayiun International Airport on January 30, 2019. The award was handed to Ethiopian for being the first airline among top 10 cargo operators to Guangzhou Bayiun International Airport. Ethiopian has the largest share, over 11 per cent of the total international cargo transportation at Baiyun International Airport in Guangzhou. Be the first to comment on "Guangzhou Airport Awards Ethiopian Top Performing Cargo Airline 2nd Year Running"